Heriz are produced in the village of the same name in the slopes of Mount Sabalan. Heriz carpets are durable and hard-wearing and they can last for generations. 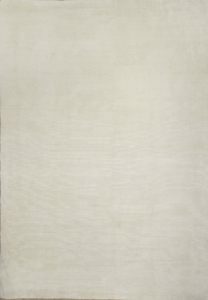 The finest bamboo silk creates wonderful texture. 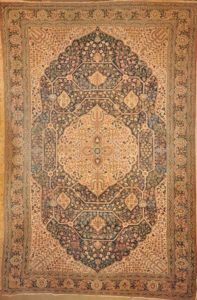 Sultanabad rugs and carpets share a common classical Persian repertoire of floral motifs, whether they utilize medallion or overall designs of vinescrolls and palmettes. antique Sultanabad rugs have the ability to unite the old with the new. 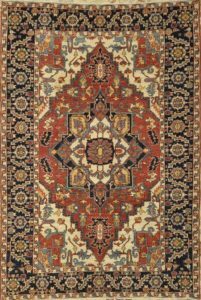 The coloration of Farahan rugs and carpets tend to be rich yet soft, with emphasis on terracotta reds, delicate blues and greens, and pastel apricots and yellows. 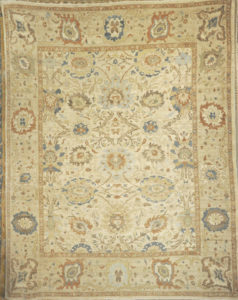 This Fine Ziegler & Co Farahan has smaller scale designs with rich colors. 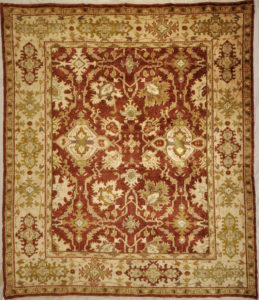 Afshar rugs are similar to antique Caucasian rugs in their rug colors and styles. Using geometric patterns, medallions with diamond patterns and pomegranate vases. Common colors include crimson, saffron gold, ivory, burnt orange and sienna. 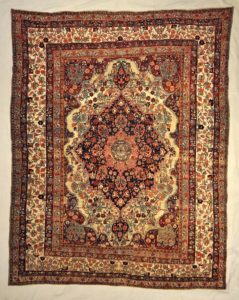 The term Sultanabad has come to distinguish the oldest and highest quality Mahal rugs which were produced in the Arak region. 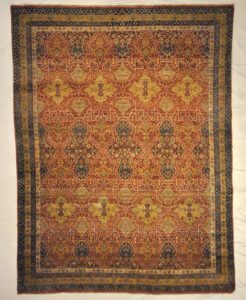 Sultanabad rugs and carpets were made in the same area as the earliest Farahans and Sarouks, but they are very different. 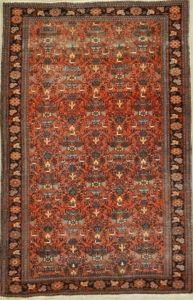 This Zielger & Co Sultanabad include subtle neutrals, vibrant reds and clear blues that create a regal Western appearance. 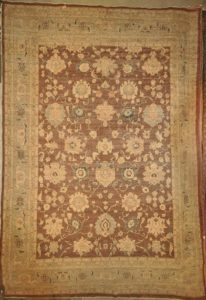 Antique Ziegler & Co Sultanabad carpet is distinguished as the highest quality of Mahal productions manufactured in the Arak region. 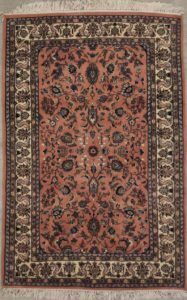 Vintage Persian Sultanabad carpets date back to the 19thand 20thcentury. Both interior designers and collectors seek these carpets worldwide. The casual and surprisingly contemporary carpets are balanced by their sophisticated yet creative designs. All these traits make it very difficult to find a Sultanabad in today’s international market. 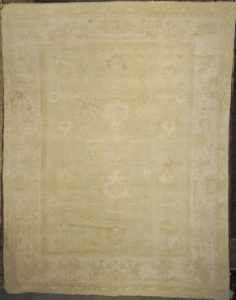 This Fine Indian Oushak rug is a one of a kind antique vintage rug with a soft natural colors. This Oushak reflects the values of the weaving techniques by the dyes used. The patterns incorporated all have their own time stamp attributed to them. These lighter colors will bring vibrancy and life to your home. These carpets are rare and unique treasures that are sought after by collectors worldwide. 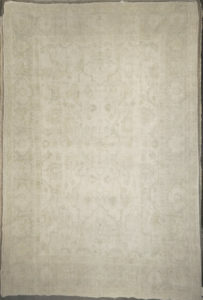 Finest Angora Oushak Rug design from Anatolia. 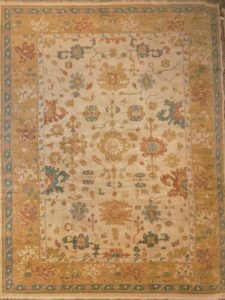 Antique Turkish Oushak designed with larger scale patterns along with their soft and decorative coloration make these rugs extremely sought after by the trend-setters and taste-makers in the interior design trade. 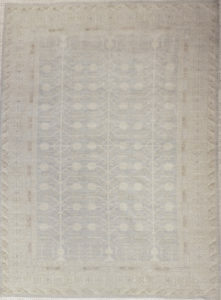 Ziegler & Co. designs and produces rugs with a softer palette than most traditional Persian rugs. 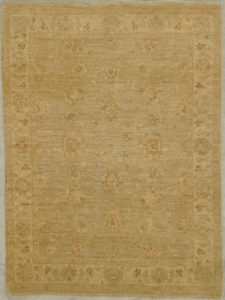 The Oushak rugs have become the rugs of choice for many of the top interior decorators in the world today. Ziegler & Co Sultanabad is extremely desirable in the modern marketplace. 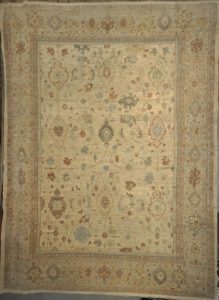 The popularity of Sultanabad rugs go back to the mid-19th century. Ziegler & Co Original Sultanabad is extremely desirable in the modern marketplace. 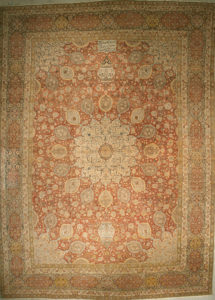 The popularity of Sultanabad rugs go back to the mid-19th century. 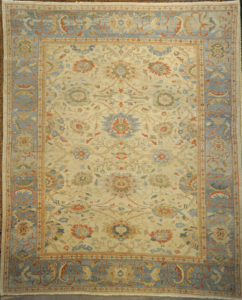 Collectable and quality carpets Sultanabad carpets are prized worldwide for their durability, design and rarity. We are proud to offer the finest carpets found in the market today. Sultanabad carpets are made with moderate weave and thicker pile ensuring their lifespan to over a 100 years. The reputation of Sultanabad’s are highly esteemed with the oldest ones being from the 19thcentury. They appeal to both interior designers and collectors. 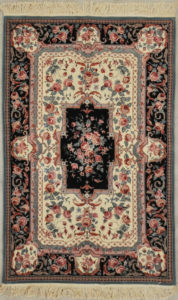 The asymmetrical arranged blossoms are what make rugs like this distinguished from the rest. 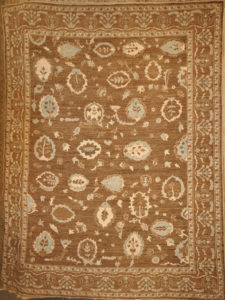 Finest Ziegler & Co. Khotan made of natural wool and dyes. The city of Khotan has an ancient crafting culture that includes both silk and carpet weaving. 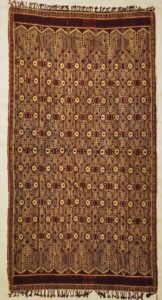 Rugs from the city of Khotan depict an abundance of cultural and stylistic influences. 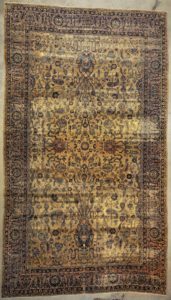 The vast majority of the rugs which were woven in the city of Khotan have a style that is highly sought after by collectors. Rare Angora Oushak have become the rugs of choice for many of the top interior decorators in the world today. 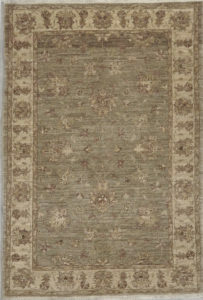 Cosmopolitan and sophisticated are two words that aptly describe Oushak rugs. 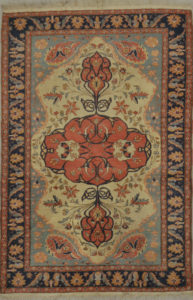 Haji Jalili is best known today for his incredible and unique approach to rug-making and his preference for distinctive color palettes and design elements. 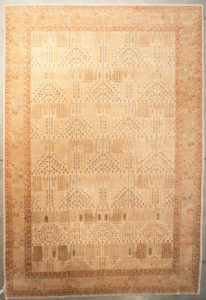 Haji Jalili is especially known for mixing lighter colors — such as pinks, golds and grays — into the design of his rugs. Pieces by Haji Jalili that feature these particular design elements are highly sought after by decorators and collectors. 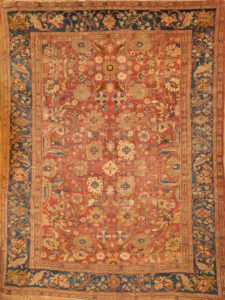 His silk carpets are among the most renowned ever woven, and the pieces that are considered to be the best Tabriz carpets are often attributed to his workshop. 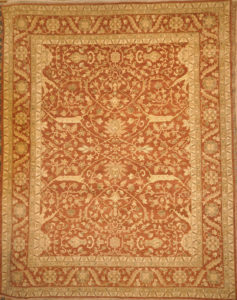 Oushak rugs are made using less complicated methods, they are extremely decorative in nature. Their larger scale patterns along with their soft and decorative coloration make these rugs extremely sought after by the trend-setters and taste-makers in the interior design trade.